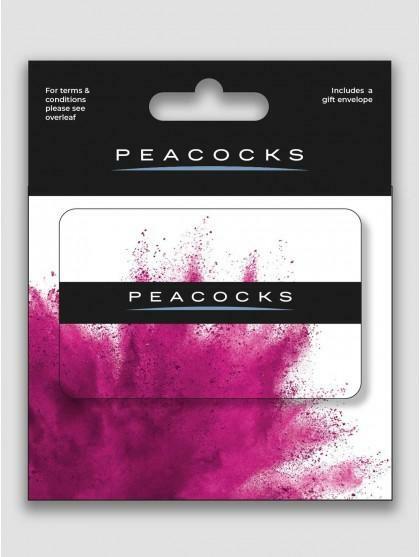 Get the ultimate gift with a Peacocks gift card, redeemable in store or online. Treat that someone special to a mini shopping spree and let them choose exactly what they want, from dresses to tops, nightwear to bags it’s the perfect gift. Discount codes cannot be applied to gift cards, Gift cards are also non-refundable.